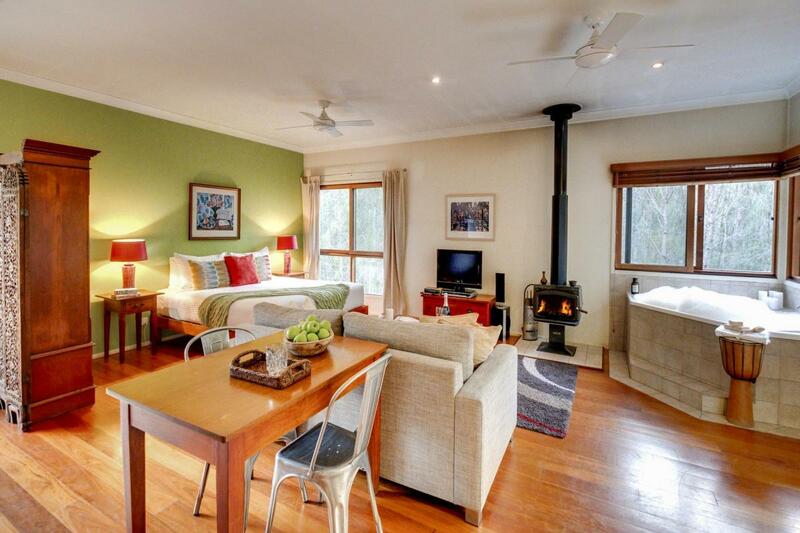 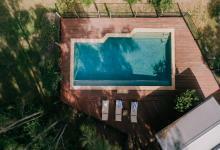 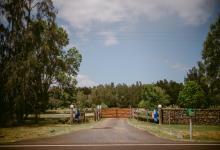 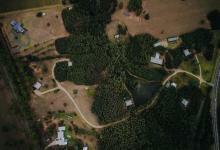 Tree Tops is one of six private cottages set on the popular Billabong Moon estate located on the Hunter’s famous Hermitage Road, Pokolbin. 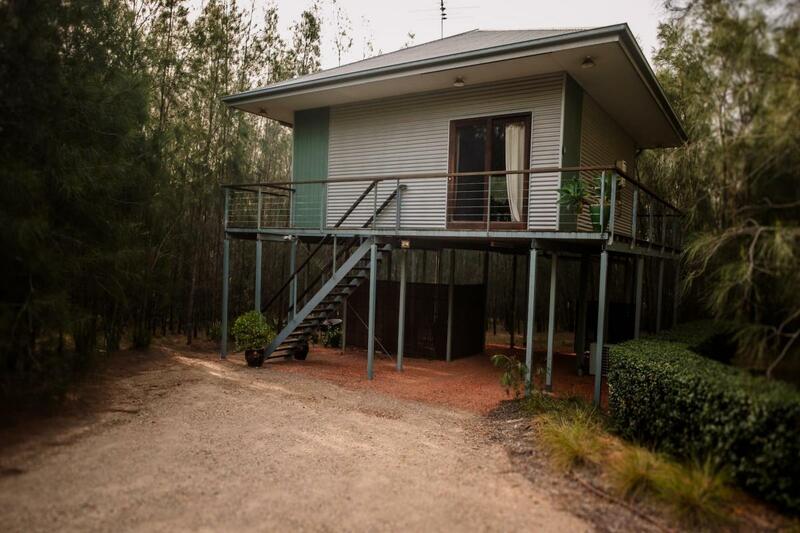 Imagine your very own self-contained treehouse set amongst a large canopy of beautiful, swaying casuarina trees. 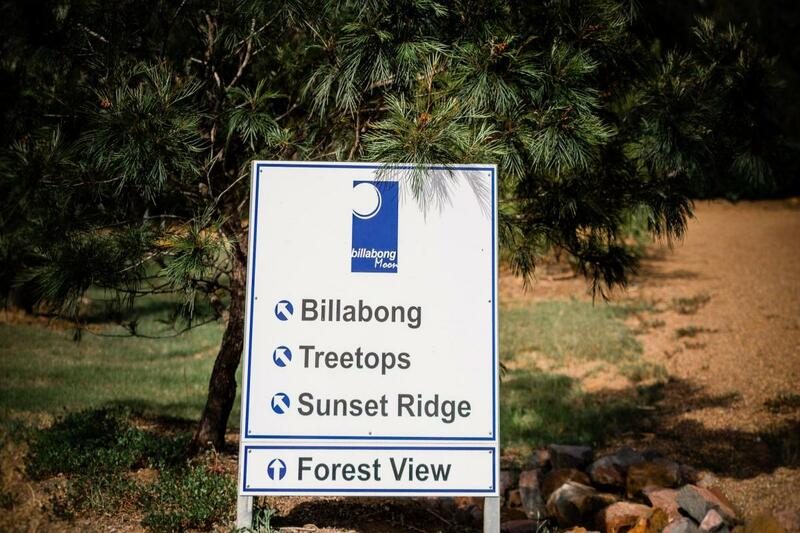 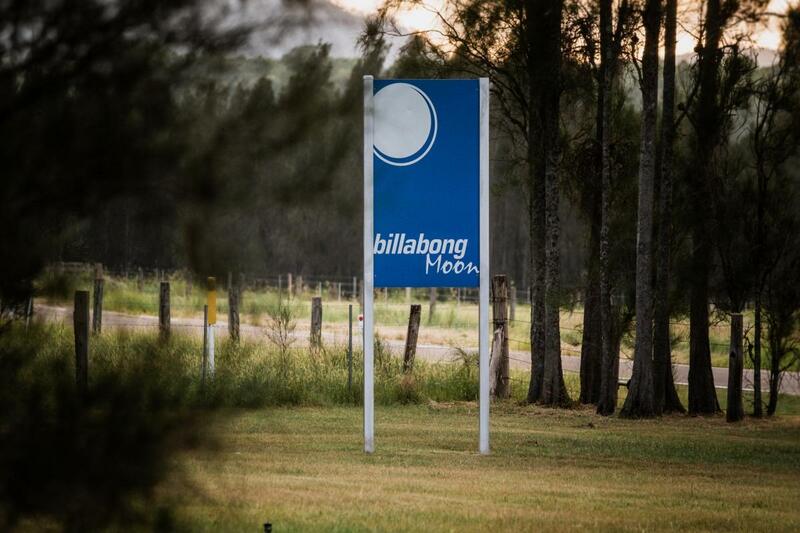 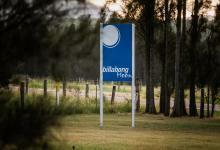 This is the experience at TreeTops Billabong Moon in the Hunter Valley. Elevated more than three metres above the ground, you’ll be in the tree line to enjoy the beautiful natural environment. 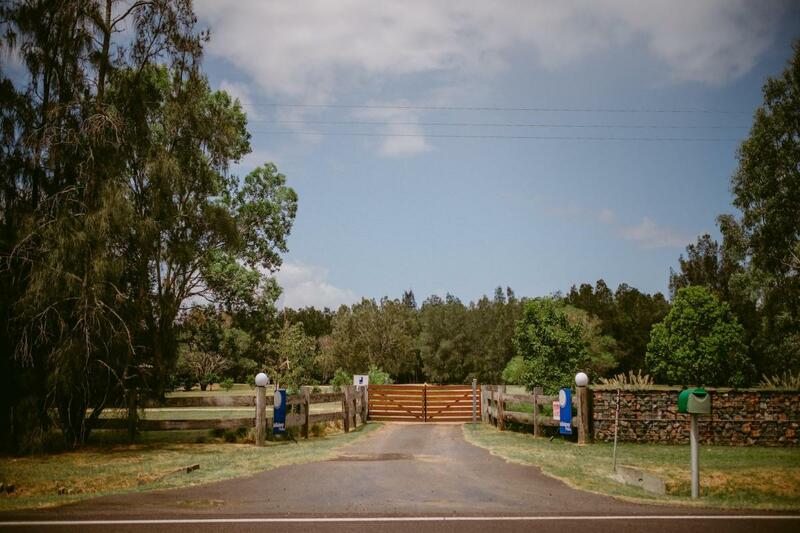 Located within moments of the food and wine trails of Hermitage and Broke Road, where you can sample some of the best Hunter attractions including the Hunter Valley Gardens, Muse Kitchen, Ironbark Brewhouse and award winning cellar doors. 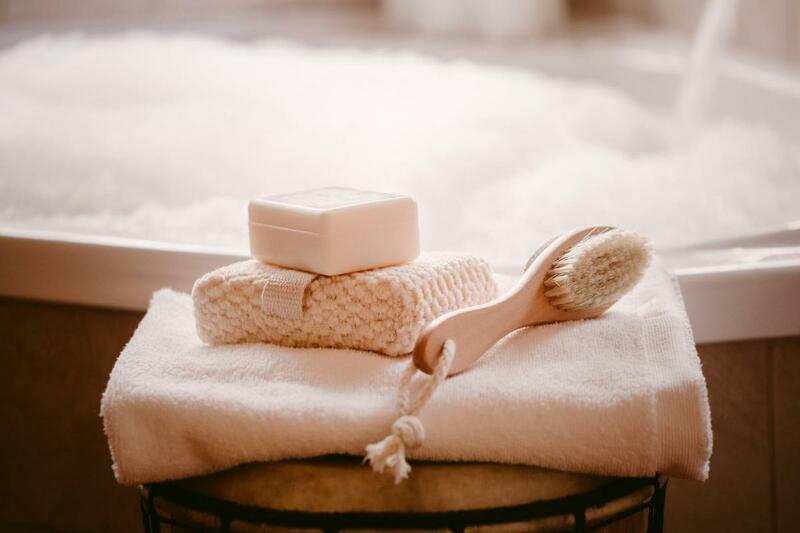 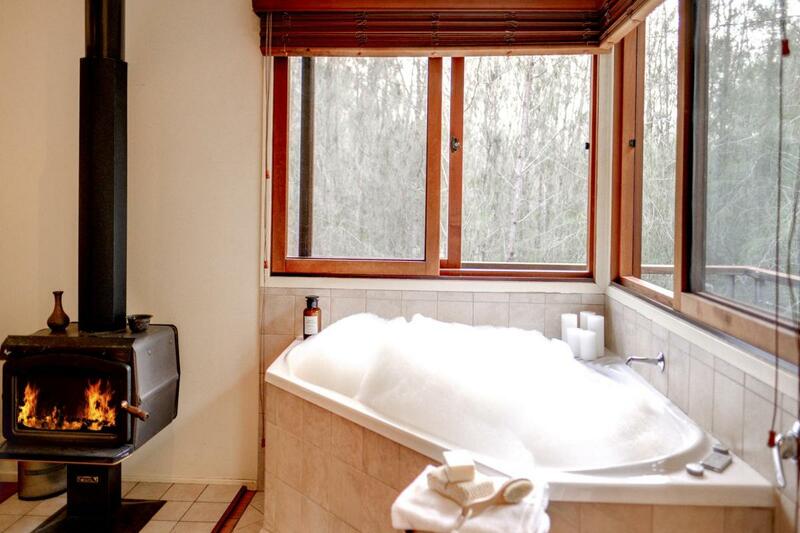 Designed as a secluded private spa retreat for two guests, Tree Tops has all you will need for a memorable stay, and features contemporary décor inspired by the classic Australian theme of timber and iron. 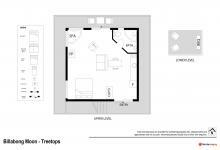 Open plan, the accommodation features a king bed, indoor corner spa bath and separate bathroom, combustion wood fireplace, a compact self contained kitchen, TV, bbq and a truly romantic outdoor bath. 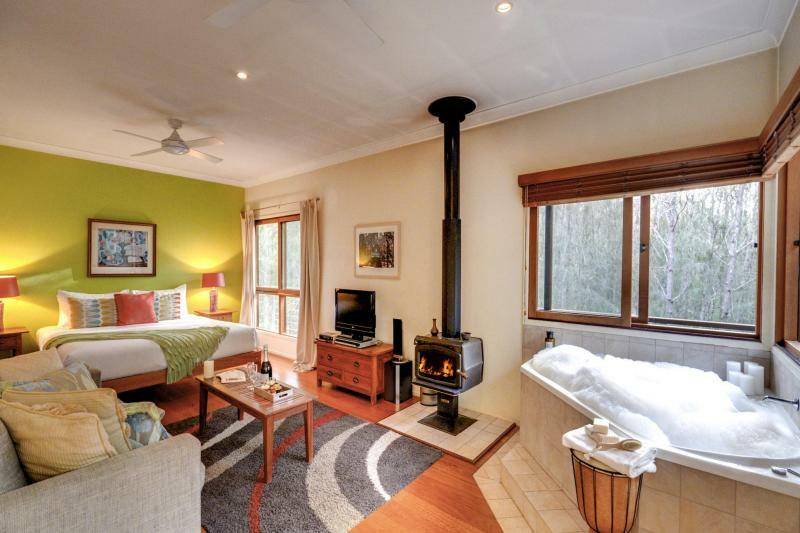 Perfect for all seasons with air-conditioning and fan, enjoy a sleep-in as the cool breeze travels through the trees, or in winter, stock up the fire, and snuggle up next to the wood combustion fireplace for a romantic night in with local cheese, chocolate and wine. 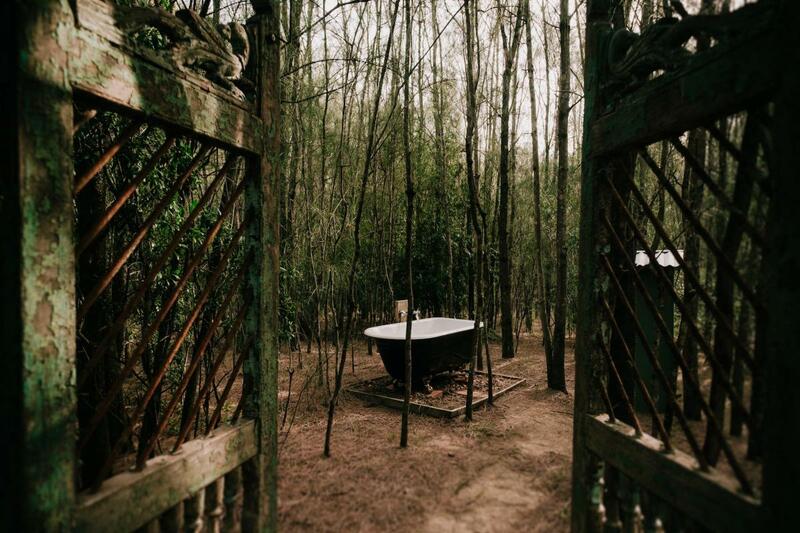 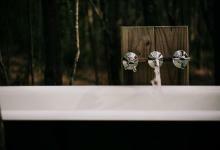 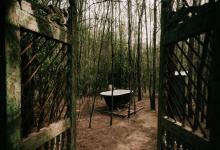 Descend and wander through the forest to your own private claw-foot bath tub for a hot bath amongst the trees. 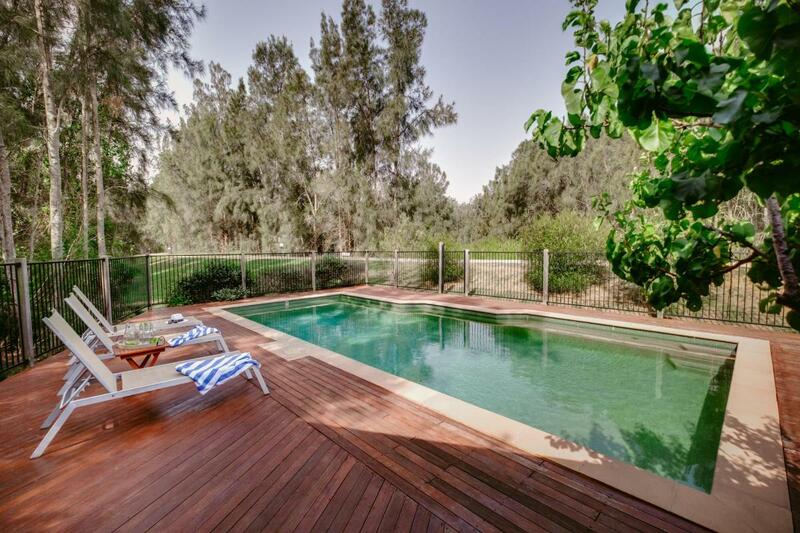 For the active at heart, take a bush walk around the estates walking tracks, past the billabong and the casuarina trees, or wander across the lawn to enjoy a dip in the estates refreshing saltwater swimming pool. 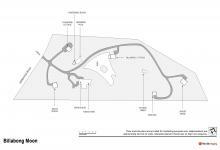 You may like to hire a bike locally and take the Hermitage Road cycle track to explore the best your destination has on offer. 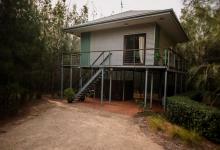 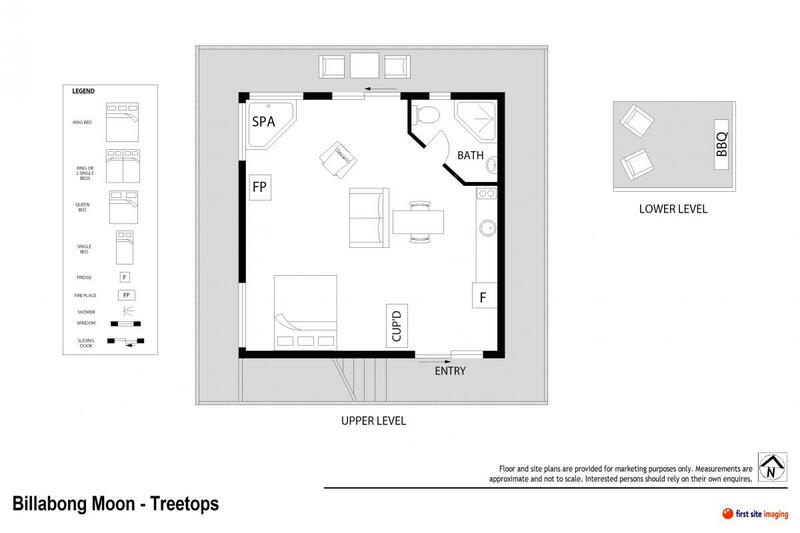 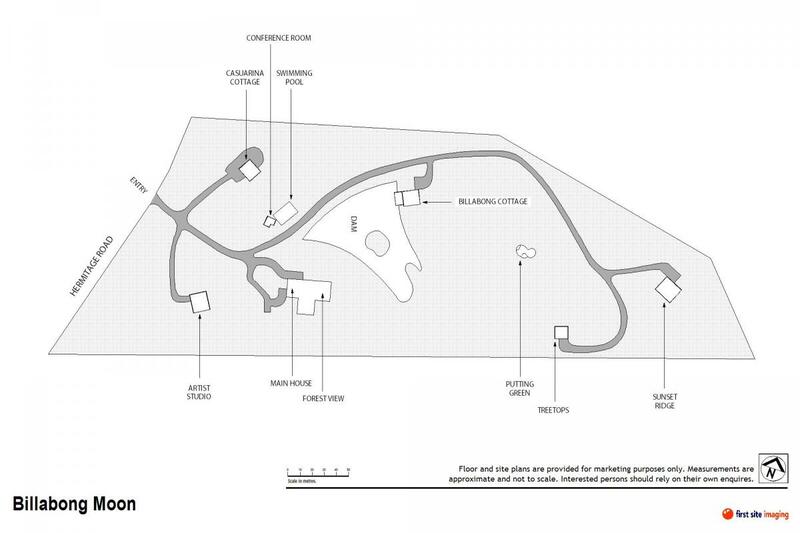 Tree tops will become your favourite place to stay in the Hunter.